Nearly 50% of adults say that a smile is the first thing they notice and the most memorable feature when they meet someone for the first time. However, if you have doubts about your teeth, lack confidence in your smile, or just want teeth that look better or shine brighter, you may be a good candidate for cosmetic treatment from A Plus Dental! 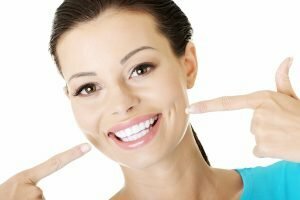 Here are some of the advantages that come with cosmetic dental improvement. Increased confidence. One of the most powerful effects of an improved smile is how it will make you feel about yourself. Even relatively minor cosmetic changes can lead to a huge difference in self confidence. Improved oral health and hygiene. Some cosmetic treatments straighten teeth, and straight teeth are easier to take care of. Besides an improved appearance, you’ll be able to brush and floss your teeth more effectively if your teeth are straighter. If you are displeased with the appearance of your smile, your first step should be to consult your A Plus Dental cosmetic dentist for treatment. Altering the colour, shape, and even length of your teeth can lead to increased confidence, boosted self-esteem, increased social status, better personal relationships, and even a better job! This blog post will help you – it’s a quick overview of the options you have available, under the umbrella of cosmetic dentistry, to improve the look of your teeth and smile. A Plus Dental offers cosmetic services in four main areas as well as the comprehensive “Dento-facial aesthetics” treatment, which combines multiple services, to provide an efficient, economical, and convenient package of services. Teeth Whitening. Philips Zoom WhiteSpeed is the most scientifically advanced teeth whitening procedure available. It’s ideal for anyone looking for immediate results. Philips Zoom can whiten teeth up to eight shades. Porcelain Veeners. Porcelain veneers are thin porcelain shells, which only measure about half a millimetre and can transform your smile in just a couple visits. They help address rotated or crooked teeth, gaps between teeth, discoloured teeth, misaligned teeth, worn teeth, and some misshapen teeth. Dental Braces. Typically, orthodontic treatment consists of the application of small ceramic or metal brackets to the teeth. These brackets are attached to an arch wire which helps shape the teeth. Often springs and rubber bands are also used to help move the teeth. Treatment takes from one to three years to complete. Once braces are removed, it may be necessary to use a retainer for several years. In some cases, a small permanent retainer is bonded to the teeth. Conventional Metal Braces. Metal braces are the most traditional type of braces. Treatment usually takes from one to three years to complete. Clear Ceramic Braces. Clear ceramic braces are a more aesthetic alternative for those who don’t want their braces to show as much. Like metal braces, they are extremely comfortable and efficient at moving teeth. Treatment usually takes from one to three years. Lingual Braces. Lingual braces offer an amazing technological advancement in orthodontic treatment. Orthodontic treatment consists of the application stainless-steel brackets. Initial discomfort is similar to that of traditional braces. Treatment usually takes from one to three years to complete. Implants. Dental implants are an implant post made of biocompatible material such as ceramic or metal, which is designed to replace the root of a missing tooth, and a replacement tooth (dental crown) on top. The implant is surgically attached to the jawbone and acts as foundation for crown, dental bridge, or dentures. Implants return your full smile, keep your jawbone from deteriorating, and hold other teeth, dentures, and bridges in place. Cosmetic dentistry– Improves the appearance of your teeth using the treatments mentioned above. Dermal Fillers– Dermal fillers can be used to reduce or eliminate wrinkles, raise scar depressions, enhance lips, and replace soft-tissue volume loss. Dermal fillers improve the appearance of your lips, cheeks or chin, and dark eyes. Skincare– Your dentist at A Plus Dental will provide you with useful tips on how to keep your skin healthy-looking. Put all of this together and you can dramatically improve your smile with A Plus Dental! 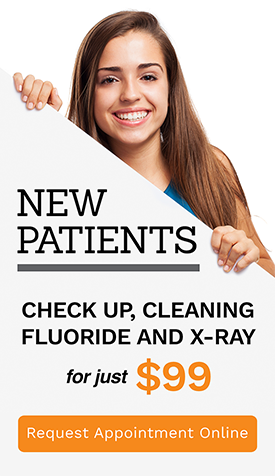 At A Plus Dental our commitment is to dental care at a price you can afford. Visit our convenient offices and achieve maximum oral health from simple checkups to dental implants and more! Call us on (02) 4627 3833 or visit us at Suite 3/300 Queen Street in Campbelltown.